11PM IRMA UPDATE: Potentially catastrophic Hurricane Irma is threatening the Caribbean with 185mph winds. Tropical Storm Jose could become a hurricane by Wednesday night and Tropical Depression 13 in the western Gulf is expected to follow suit in the next few days. 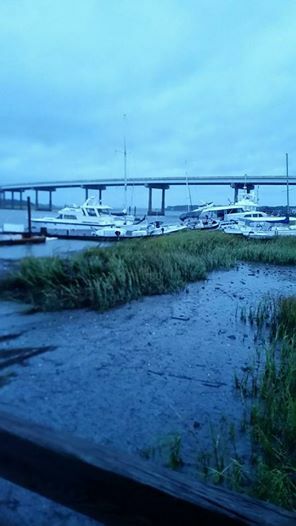 http://nauticinderella.com/hurricane-matthew/ Post Hurricane Mid Tide on the Marsh after Hurricane Matthew destroyed Palmetto Bay Marina on Hilton Head Island and put Cinderella up on the marsh.